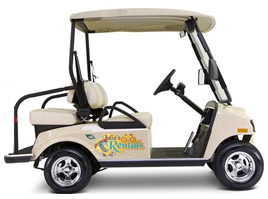 Get around in style with one of our Golf Carts. We will deliver your cart right to your front door of your rental. 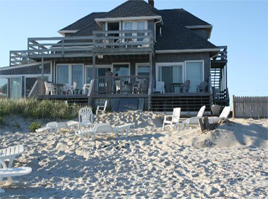 Or, you can pick up at the Coffee Shop on the Island. Enjoy a ride on the beach with our beach cruiser bicycles. 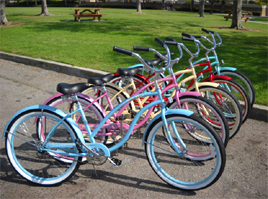 We carry Men’s beach cruisers, unisex, to children’s bikes, kid kabs, tag-alongs, and child seat cruisers. 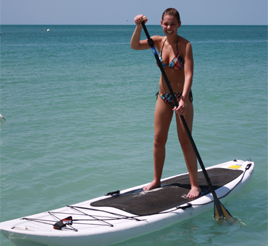 Enjoy the beach with on one our beach equipment rentals from boogie boards, kayaks, to beach chairs, beach umbrellas, wagons, more. wagons to kayaks, boogie boards, and even surfboards.